Working time - the time that the glaze remains wet and able to create a pattern. 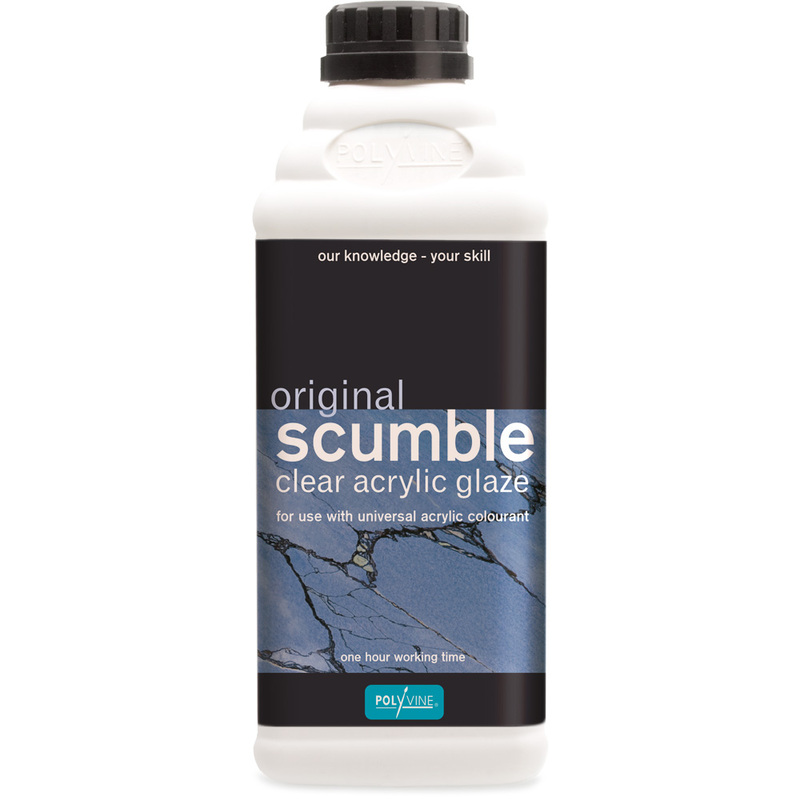 To obtain the maximum working time - up to an hour - apply Scumble liberally in cool conditions on a completely non-porous base coat. 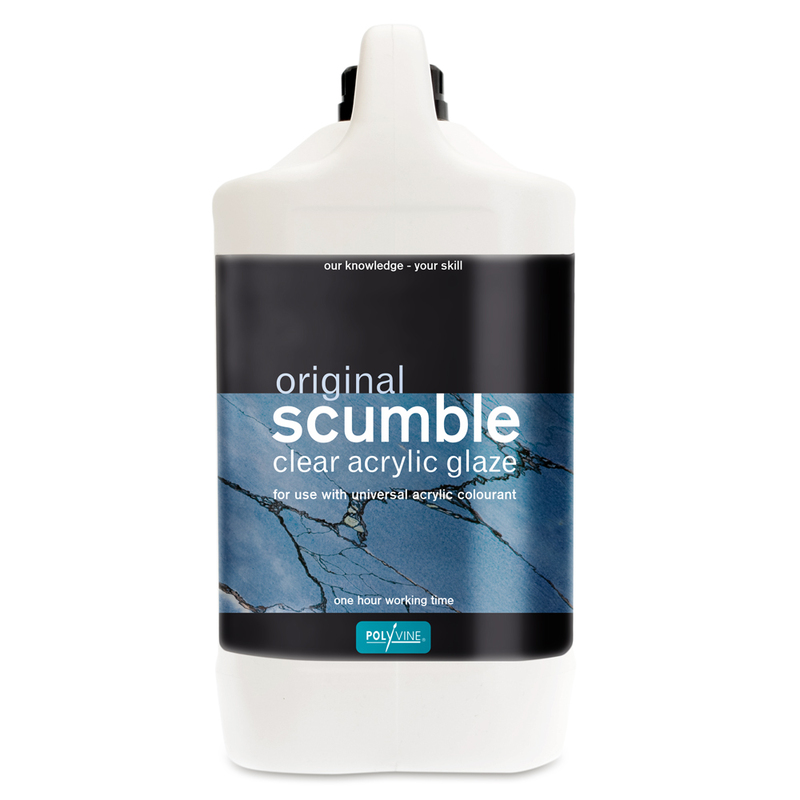 Thickness of Scumble, temperature and humidity affect the working time. 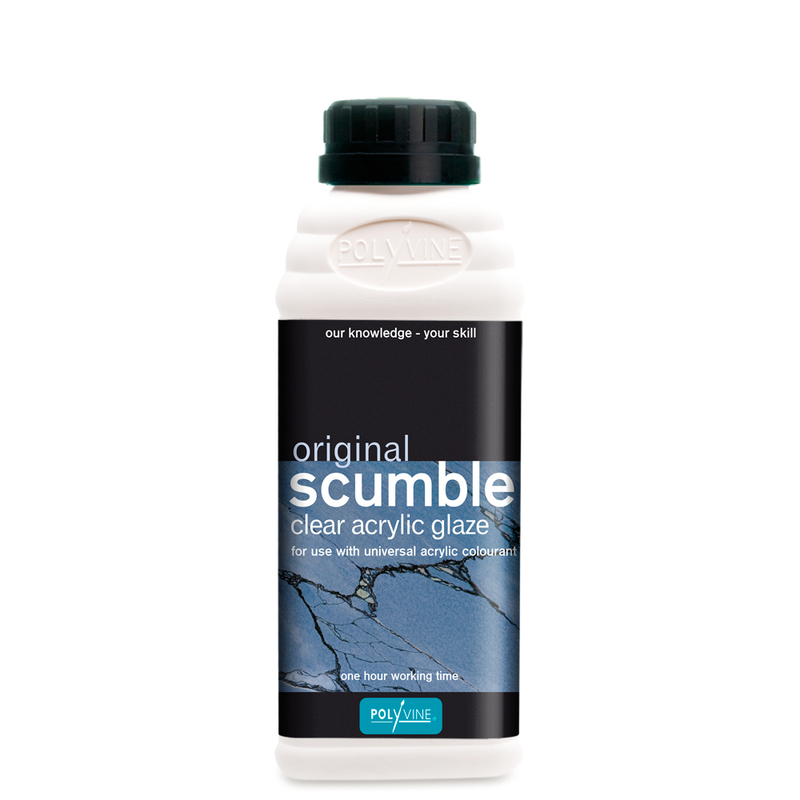 In temperatures above 21ºc/70ºf, or for longer working time, use Tropical Scumble. Low temperature or high humidity increases drying time. Air movement is essential for faster drying.